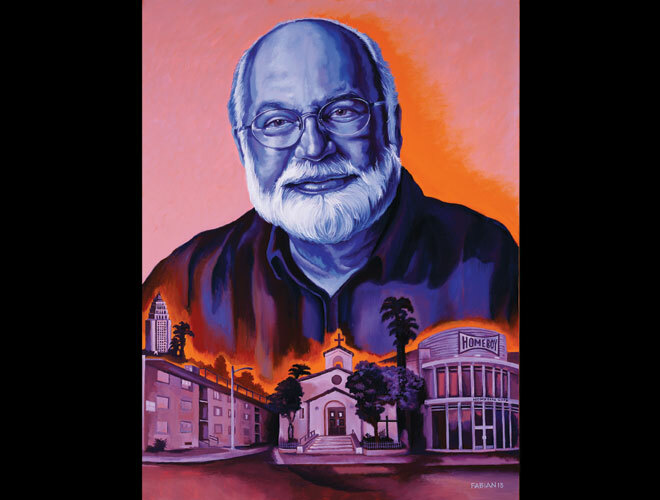 In the May issue of Los Angeles magazine, Ed Leibowitz writes about one of L.A.’s most unique subjects: Father Gregory Boyle, whose Homeboy Industries is the most successful gang rehabilitation and reentry program in the world. 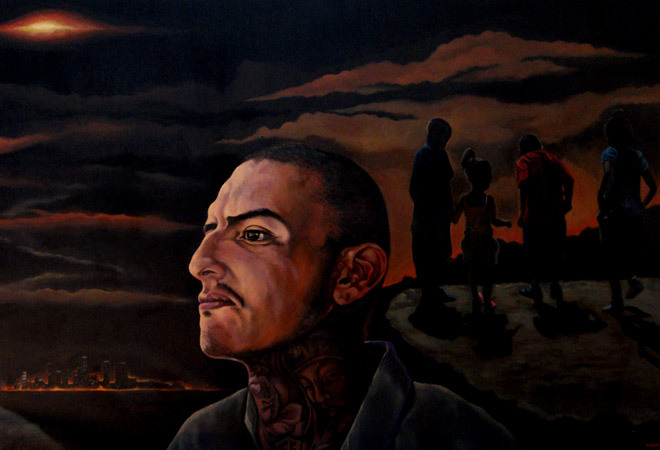 Accompanying the profile is a painting we commissioned of Boyle by local artist Fabian Debora, a former gang member and drug addict who now heads Homeboy’s drug and alcohol abuse program. The 37-year-old married father of five tells us how Boyle—and art—helped save his life. You painted a portrait of Father Boyle for the first time for our profile. Tell us about the artwork. The painting took me approximately seven days to create and is acrylic paint on a standard 30-inch-by-40-inch canvas. Father Boyle is my father, my teacher, my mentor, and my friend. It’s nice to paint a portrait of your mentor, although it has to be done in the proper manner. I wanted to make sure it was up to par. I wanted to be able to connect him to his roots—the Mission and the housing projects. The [painting represents] the progression of his vision. He doesn’t like to be glorified, but it was an honor for me. I had many wonderful memories as I was placing the paint onto the canvas. I’m just waiting to see his reaction—it’s a surprise he doesn’t know about yet. Was it hard for you to keep him in the dark? Oh yes, it was very hard. I felt like going to him many times to get his approval, but I had to go around him and ask coworkers about his likeness with the painting. The responses were great, so that helped me go through with the painting. How do you hope Father Boyle responds? In addition to being an artist, you run the substance abuse program for Homeboy Industries. What’s a typical day like? We start with a Thought of the Day. Someone shares either a personal experience or something motivational with the hope that it touches someone else. Today it was a story about children and bullying—how no matter what, one must lift themselves up. After that, we hold council. It’s a team that Father Greg selected to hold up Homeboy Industries, and we keep track of every individual and every trainee here and make sure we are meeting their needs. We roam around the building and make sure everyone is on the path of reformation. After council, I go to my duties, which consist of drug counseling. I hold three classes during the week for our six-month outpatient program, I randomly drug test, and I work with an assistant, who works with the women who are battling drugs. Like most of the employees at Homeboy Industries, you used to be in a gang. Why? I joined a gang because of the simple fact that I lost hope. I lost hope at a very young age. My family had aspirations for greater dreams and opportunities. I’m from El Paso, Texas. 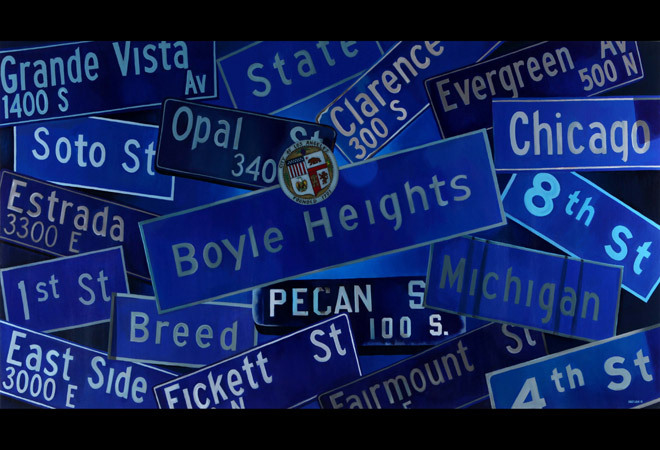 We left El Paso to live in the housing projects of Boyle Heights. At the time, the housing projects were plagued by eight local gangs. This was during the ’80s, when the crack cocaine epidemic hit Los Angeles. My father, being an immigrant, could not land a high-paying job, and my mother went to work in the factories stitching toy dolls. I could see the frustration when my mother couldn’t make ends meet. I used to sleep in a twin-size bed between my mother and father when we only had a little electrical stove. We had lived on a beautiful ranch in Texas with my grandparents, and when we left, I felt alone. My dad, I guess, had to fend for himself how he could, and so he started to transport drugs from Mexico into El Paso and Los Angeles. My mother put me in Dolores Mission Catholic School, where Father Greg did his missionary work, with the hope that I would graduate, but that dream didn’t play itself out because of the trauma I experienced at home. Heroin was taking over my dad’s life. He started to put his hands on my mother and started being absent in my life. There were times when my father would take me to the park, and he would ask me to hold his heroin. I became a habitual liar. 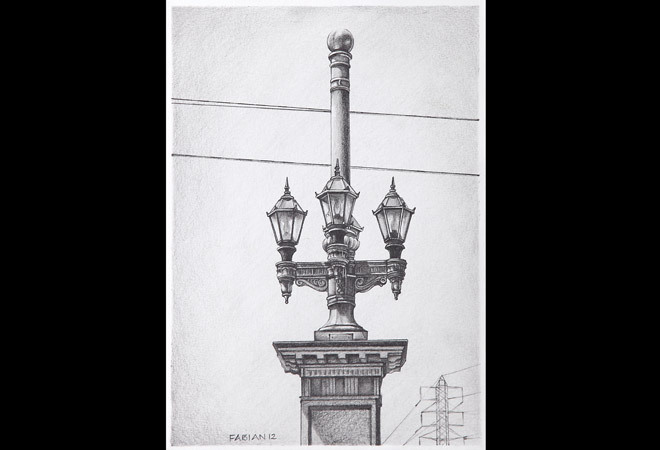 In eighth grade, two weeks before graduation, an instructor told me to stop drawing in class. I continued to draw in class, though, and sure enough he grabbed my artwork and ripped it in half. [Drawing] was the only thing I had latched on to, so when the instructor did that to me, I was so demoralized, I had to do something. I got up and threw a desk. I got expelled. That’s when I lost all hope. There were eight local gangs in that neighborhood, so it was hard to avoid them. Eventually after being pressured and pressured, I joined. I was 13. Then I became a tattoo artist. I got caught with guns and got stuck in this revolving door. I left the gang in 1994, but then I started using methamphetamines to deal with the pain and fear. I was stuck on meth for about five years, and I was starting to act like my father, but I didn’t want to be like him. You’ve opened up about trying to commit suicide on the I-5 while high. Is that when you decided to get clean? I remember waiting for death to hit me. And the moment I reminded myself of my kids, there was a spiritual thing that took place, something from beyond. There was no reason [a car] did not hit me. Whatever it was, it was God. From that point on, I went to the Salvation Army rehab and did six months of residential treatment. That’s where I learned about what I was running from. I started to hear Father Greg’s voice, all these motivational things he would tell me at the age of ten, and I knew exactly where to come to. I came to look for Father Greg, and thank God he was still here. 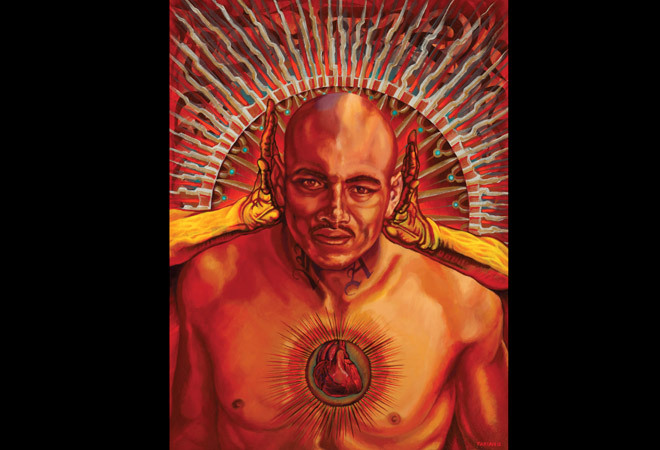 Now your talent as an artist is helping to raise awareness for Homeboy Industries. How does that feel? It feels great. This is a vision I once had when I was incarcerated. And today, because I gave myself the chance to recover and regain control of my life, I can glimpse my dream. It’s beautiful when a community opens a door. It’s a responsibility; I’m trying to give new meaning to the symbolism that I use without the misinterpretation of the outsider. So when did you first start painting? I started to draw under the coffee table when I was six years old. Even though my dad was an addict, he would show me how to draw Mickey Mouse and would tell me, When you finish that one, we’ll graduate you to Woody Woodpecker. What kind of art training have you had since then? I’m self-taught. My mentors were graffiti artists. 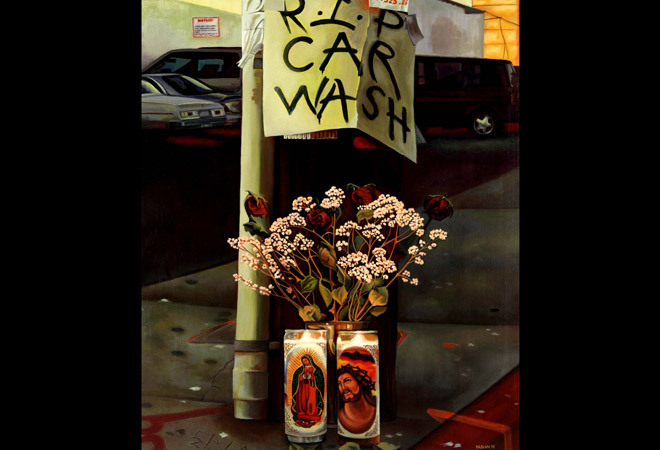 At the age of 17 Father Greg took me to the studio of the East Los Streetscapers and [Chicano mural artists] Wayne Healy and David Botello, and they took me under their wing. They started to introduce me to culture, my identity, and what it is to construct murals from the floor up. 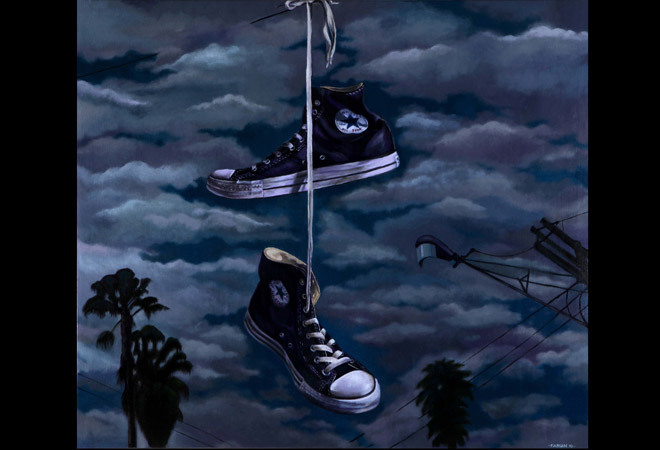 In 2009, I asked [artist] Vincent Valdez for an internship. You painted a mural at the new Homeboy Café & Bakery at LAX. How did you settle on an idea? I wanted to really capture what we do at Homeboy. It’s an image of eyes that are the windows to the soul. Once you tap into your soul, you find your inner self. When you work on your inner self, you find your inner voice. 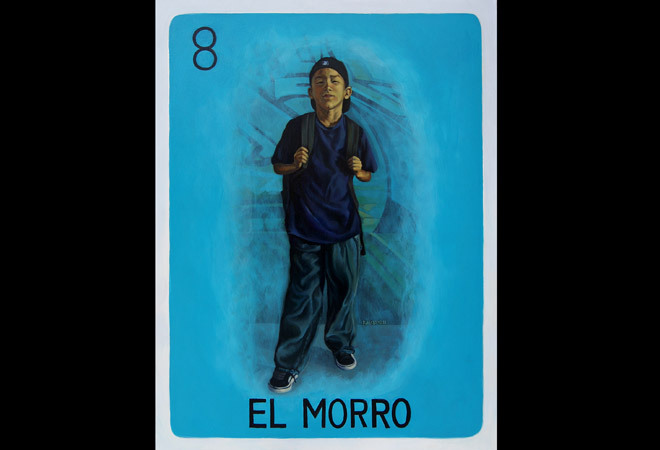 What does your art say about Boyle Heights? I think it shines light. 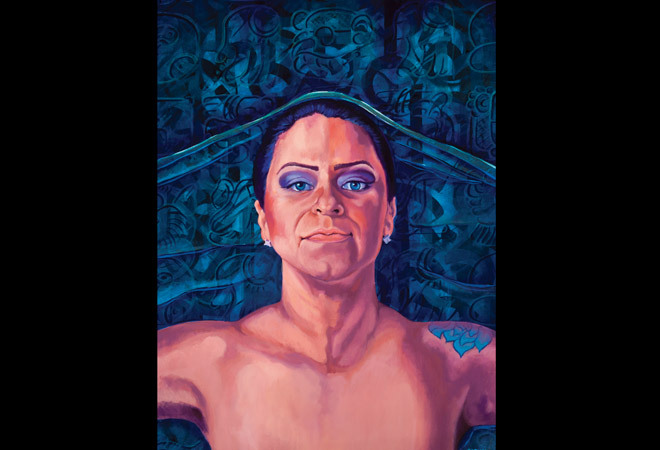 As a representative of Boyle Heights, I’m trying to invite the audience to see the beauty within my community, without the stereotypes and the stigma that it has had because of the gangs and violence. There’s a lot of richness and culture as well as the individual. The homie is a human being. When I paint the homie, it’s not to glorify his actions, it’s to return him to humanity. It’s about redemption. It’s a way of healing for me. To read “Saint of the Hood,” writer-at-large Ed Leibowitz’s May profile of Father Gregory Boyle, pick up a copy of the issue on newsstands or subscribe NOW.